I really liked Dan Chen’s Instructable Ex Machina Sound Reactive LED Wall. It was so easy to follow, and the results were great. 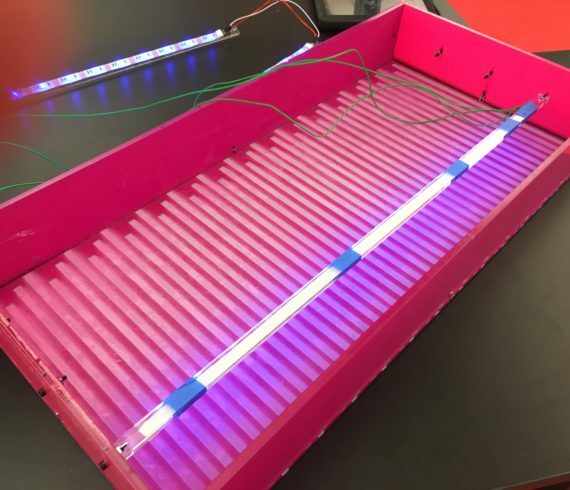 I created a temporary version using cardboard and vellum, as you can see in the image with the red LED lights in the middle – note the Arduino and breadboard hanging off the side! 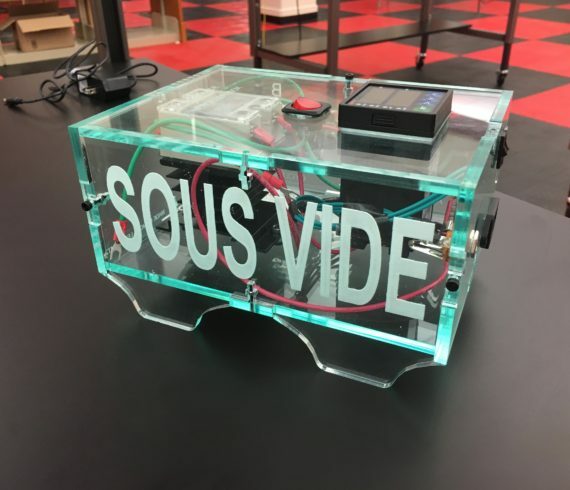 The temporary version was great, but I wanted to create a more permanent version I’ve simply taken Dan’s idea (along with his Arduino code) and created a sound reactive light box. The design are simple translucent bars, created by a laser cutter to allow light to penetrate from the box. Check out the full build instructions at my Instructables page. . I own a 2010 Scion XB. These cars have plastic coverings over the potential intake areas on the front bumper. The newer model XBs have daytime running lights (DRLs) factory installed in the space for the fake intakes. I wanted to add this to my older XB, while not paying a lot of money for an aftermarket product. 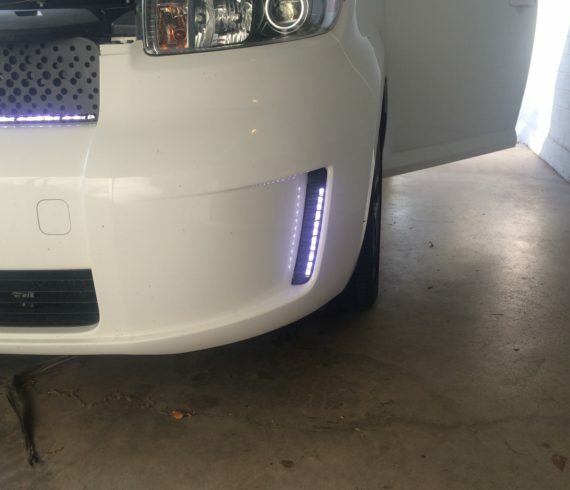 After a little searching on the internet I decided to buy some waterproof LEDs and install them myself. It has been about 6 months since the install, and they are still working, having been through rainstorms, and severe Arizona summer heat. Check out the full instructable here. This is my simple EL Wire Bike Helmet. I ride my bike a lot in a city that is not very bike friendly, and I wanted to be sure I was seen, especially at night. Check out full instructions on Instructables.